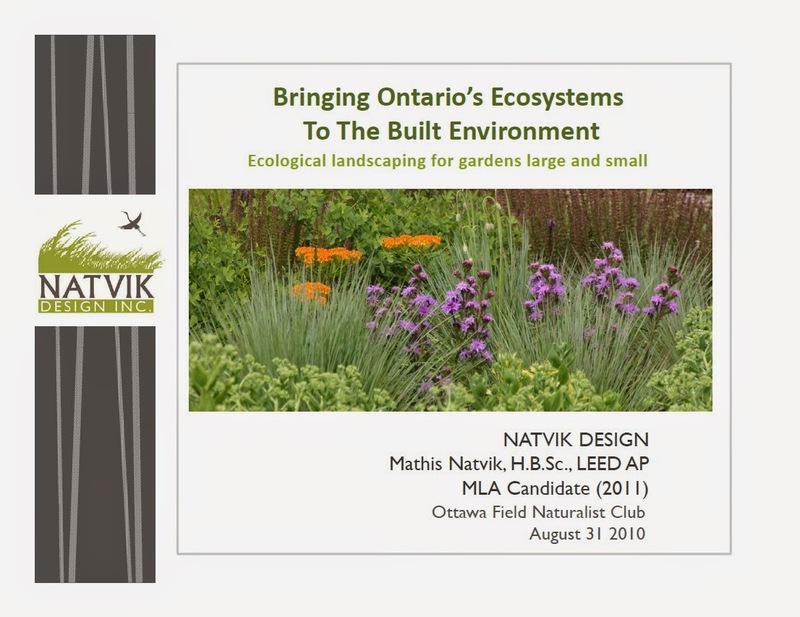 One of the inspirations for my career change was a presentation I saw in 2010 by Mathis Natvik on "urban meadows". The presentation was for the Ottawa Field Naturalist Club and it was held at Fletcher Gardens. 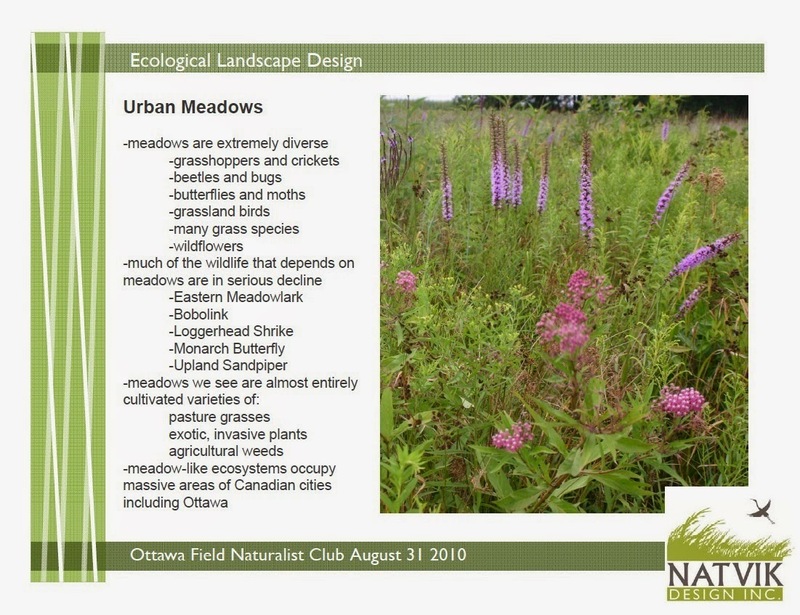 I was enamored with the idea of urban meadows and attracting more song birds to the downtown areas. He presented a great case (as part of his Master's thesis) and was hoping to work with the City of the N.C.C. to do a pilot project here. Unfortunately it never happened. For the presentation he talked about the decline of wildlife including song birds and other pollinators and how an urban meadow could be located along the parkway or as a replacement for an expanse of lawn as part of an office campus. Ottawa's a perfect opportunity with Tunney's Pasture, Lebreton Flats and parkways along most of the Ottawa River. It would just require choosing an area (which could already be a meadow) and then converting it to native meadow species so that more native habitat could be available for wildlife. He suggests a 90% native species cover as shown below. Ottawa could even consider the Agriculture Farm - convert some of this farm area back to native species. 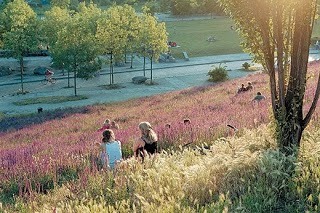 I've shown the above image of the Prenzlauer Berg District in Berlin (Photo by Westrich/laif/Redux) before as I couldn't imagine anything more beautiful in a city than a field of wildflowers that you could sit in. Having seen the bobolink near the Aviation Museum, it makes me wonder again, could this be possible? Wouldn't it be amazing to try out a pilot project and provide some alternative habitat for this endangered species where it wouldn't conflict with the needs of farmers? We don't know if it is possible but wouldn't it be amazing to see if it was? 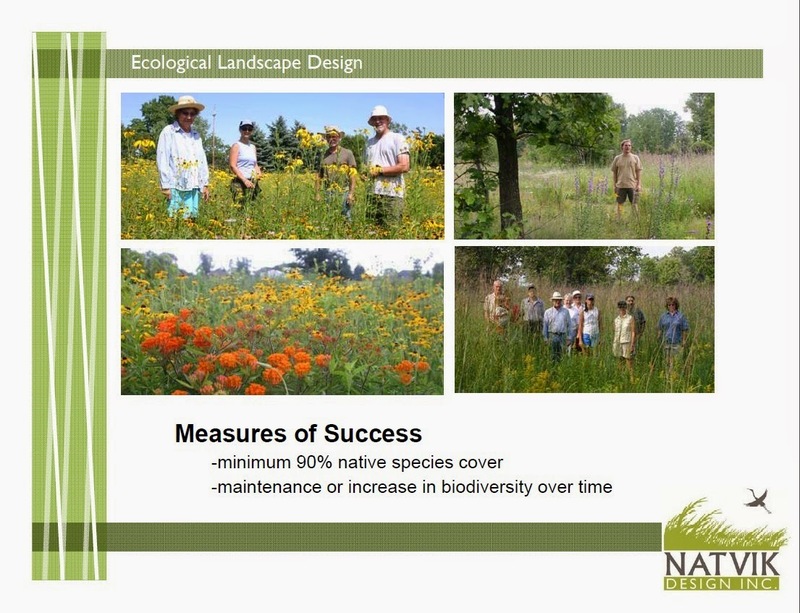 *Three bottom images from Mathis Natvik of Natvik Ecological in Guelph.